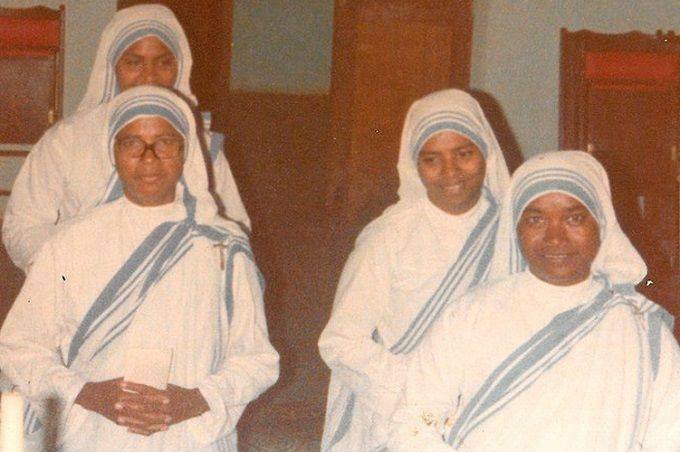 The Missionaries of Charity killed in Yemen last week. Sr. Anselm from India, Sr. Margherite from Rwanda, Sr. Reginette from Rwanda, and Sr. Judith from Kenya. They were killed along with 12 elderly people at the retirement home that they ran in Aden. So tell me, are you as an American Christian being persecuted or denied your religious rights? Have you ever been persecuted or denied your rights as a Christian in America, or known anyone who has been? Has your house of worship been invaded by government marauders or wild “liberals” out to stamp out Christianity in the U.S. lately? Is your church a target of U.S. government oppression and terror, or is it a “Safe Zone” where you are free to go find communion with God and like-minded believers without fear? Talk of “religious persecution of Christians” in America is a big political lie and look around at all the real persecution of Christians before you buy into the falsehood. God bless and watch over the Christians of the world who have such powerful faith that their only weapons are spiritual weapons: faith, love, prayer, worship, the Word of God and all the other weapons that, end the end, disarm evil. God bless the four nuns in Yemen who lived their lives in faith, hope, love, contentment and the peace that fear cannot overcome.